Where oh where does the apostrophe go!?!?!?!? a·pos·tro·phe 1 ( -p s tr -f )n. The superscript sign ( ' ) used to indicate the omission of a letter or letters from a word, the possessive case, or the plurals of numbers, letters, and abbreviations. So, is it "Artists' Books" or "Artist's Books" or "Artists Books" or something else entirely. 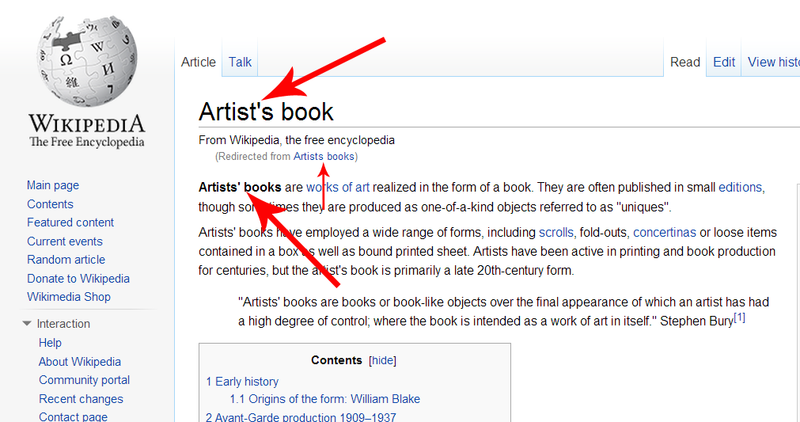 Well, Wikipedia's heading is "Artist's Books" but then in the first line, they use "Artists' Books" (equal opportunity perhaps?). Printed Matter, Inc. uses "Artists' Books" while the now gone Bookwarks also used "Artists' Books". 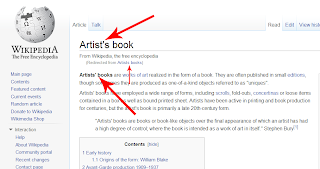 I myself find my mind in the same place as Wikipedia and using both of the apostrophe options, but for the purposes of these posts, have settled on the LC style, "Artist's Books" (except when I slip up! ).